Omnitek, based in Basingstoke UK, has been acquired by Intel. This acquisition includes all 40 employees of Omnitek, as well as the HQ, which will continue to be the home of the employees. Omnitek will form part of Intel’s Programmable Solutions Group, which covers Intel’s FPGA product line. The value that Omnitek is set to bring to Intel’s portfolio revolves around its video acceleration and inferencing IP blocks, currently used in projector, audio-visual, Medical, defence, ADAS, security, and broadcast markets. This includes over 220 different soft IP cores that can be implemented on Intel’s FPGA pipelines to help accelerate customer workflow. Omnitek has several angles to aid Intel’s expanding portfolio: using FPGAs to improve video imaging pipelining, such as pre-processing/filtering of video streams, AI inferencing with DPUs that implement convolutional neural networks optimized for low precision targets, and a custom silicon design and IP solutions team that work with customers to develop products from the ground up for specific use cases. Intel aims to bring Omnitek’s offerings into its own for its own customers, as well as invest into a roadmap which benefits the portfolio of offerings. Intel currently has a lot of IP relating to image processing and inferencing, such as the Movidius VPU family line, as well as the push for training and inferencing on CPUs and FPGAs. One element to the Omnitek acquisition is to bring the IP under a single umbrella, preferably with a singular software interface such as OpenVINO, to allow customers to be able to select which IP works best for their scenario. By providing a unified software framework, Intel aims to provide a range of IP that varies in performance, power, and cost, to satisfy any video processing and inferencing need. This has been a common feature of Intel’s recent programmable solution acquisitions, such as eASIC, which is already a product option for Intel’s upcoming Agilex FPGAs. Intel will keep Omnitek’s products as-is for the near term, such as the Flex SoCs which support video warping in the digital signage market, or video stitching technologies, or accelerated depth mapping, or Omnitek’s Deep Learning Processing Unit (DPU). As a company, Omnitek has had a recent growth rate of 30%+ per year, which Intel believes can be expanded when exposed to Intel’s customer base and roadmaps. One element to Omnitek's value according to Intel will be in the expanded video space, especially as video streams involve higher resolution content. Intel expects to start offering Omnitek services and IP to its customers immediately. The value of the acquisition was not disclosed. But Intel purchase and initially resold Altera FPGA's and now has new designs - my guess is Omnitek will be incorporated into that area of business which site indicates as part of plan. I believe but not 100% sure but EMiB and new Foveres stuff came from this group. This appears to be strategic part of future of Intel plans to allow multiple chip processes on single chip. The hardware will still be Altera but this move means that Intel will be offering the Omnitek soft IP as a purchasing option for them. 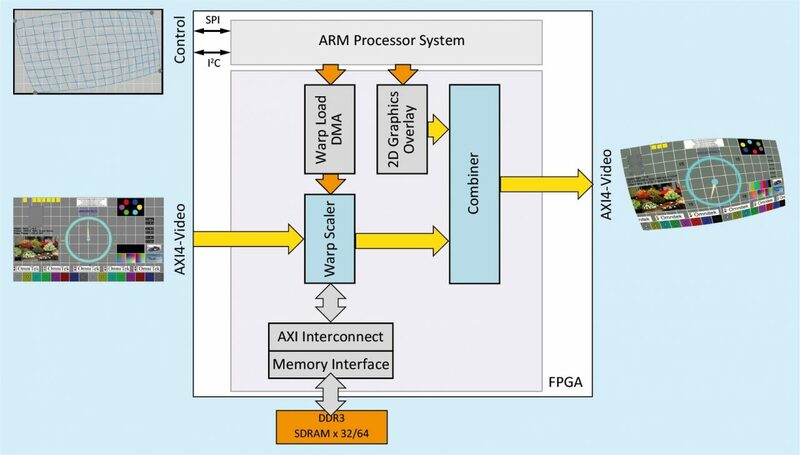 Basically you can do to Intel as a complete solution for a multi-view processor etc. Grrrrrr...... This one hits home for me as I was looking at a nice DP 1.2/HDMI 2.0/SDI-12 G development board. I think their IP is used in products like TVone and Christie Digital for their various real time warping effects in their products. These are awesome for blended projection systems.